Since the Club started in 1991, Charlestown Rowing Club has been closely associated with the community of Charlestown and local charities. Apart from rowing most evenings of the week, adding to the interest in the harbour, the club is closely involved in community activities. The club annually nominates a local charity to benefit from its various fund raising events, the main event being the Boxing Day Charity Swim, attracting hundreds of visitors to the harbour. 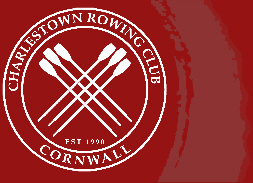 Since starting this event in 1991, to date, Charlestown Rowing Club has donated over £25,000 to local charities, including - Churchtown Outdoor Activity Centre for the disabled, the RNLI, Cornwall Hospice Care, The Childrens Hospice South West and others.